Fully furnished and equipped with recent contemporary furniture, bedding of very good quality, open kitchen (American fridge, dishwasher) on 45m2 living room. Open living room on covered terrace. House in a dead end and quiet. an independent bathroom and another shower and separate toilet. 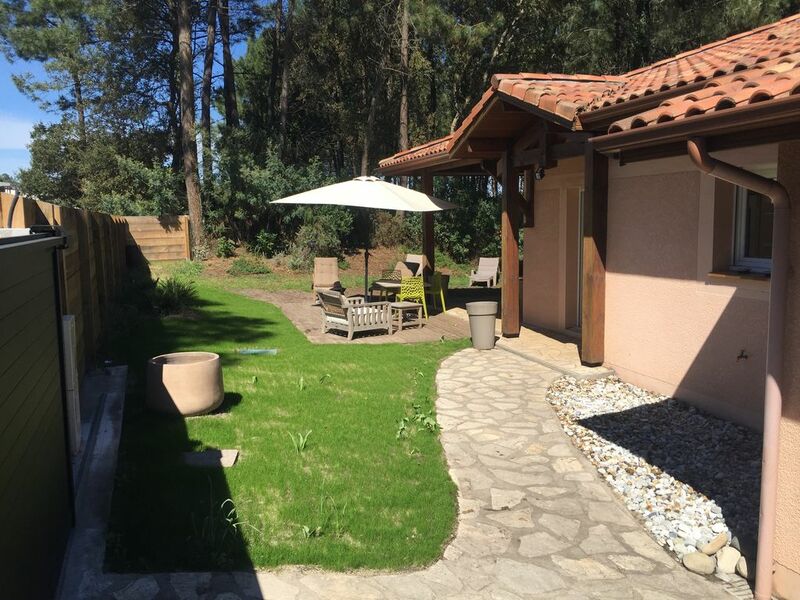 Garden of 500m2 opening on pine forest, covered terrace, plancha, deck chairs.